Dining table with base in steel rod and flat steel wire in different sections. Cataphoresis treated for maximum protection outdoors. Powder coated in different colors. 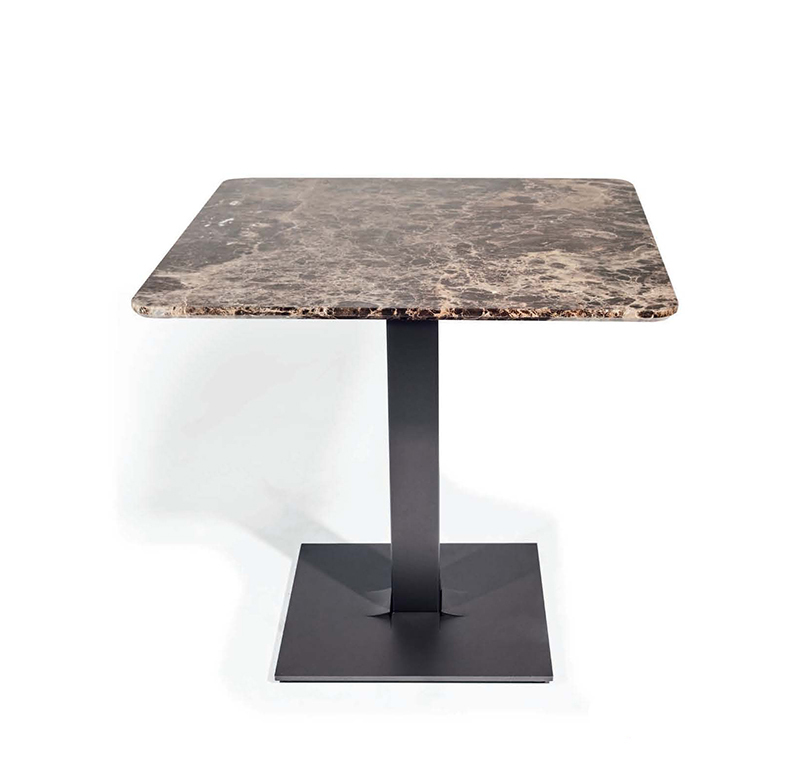 Table tops available in carrara white marble, dark emperador marble, and walnut travertine marble. Table tops: 35" Diameter/ Square: 31"sq. | Table Base: 19" x 24"H.
Base in powder coated aluminum. | Tops available in carrara white marble, dark emperador marble, walnut travertine marble.